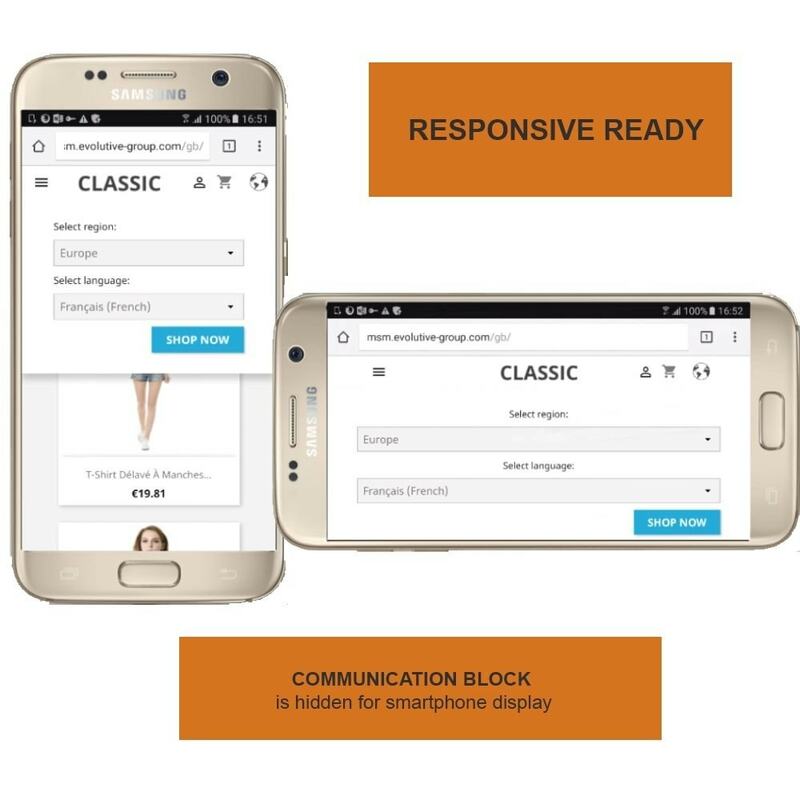 Allow your customers to navigate between your shops smoothly! Reduce your outbound & exit rates! Make customer's journey more pleasant, let them discovering your different shops, your full products & services offer while jumping from one shop to another. Use a contextual picture and localized text to spread your marketing communication. Thanks to this new block, you can enhance either the understanding of your offer, the list of your websites localized by country for instance, or simply push some marketing advertisment. No need to create a "Prehome" page , a not existing one & risky one for seo, to track your customer to the good url. No need to spend money on all urls to get indexed. Be concentrated on only one, your master one. Then the other one are linked under this menu, so the front end user can swith. Help the customer to understand where to browse! If the landing shop is not the most suitable for a customer, he will be able to navigate to the right one very easily thanks to the button placed at the top of your shops. 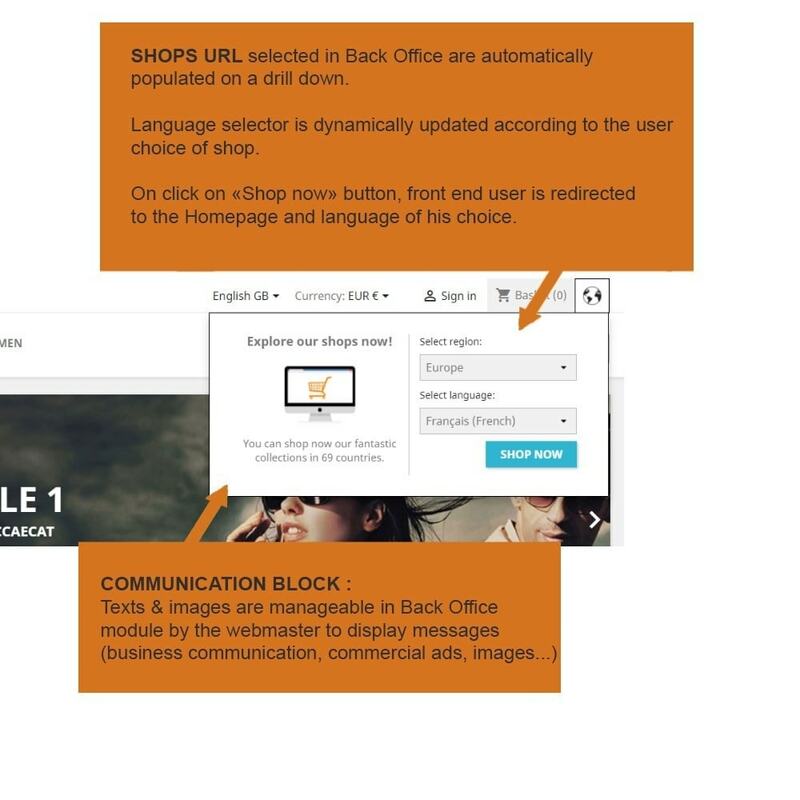 Moreover, by highlighting the shop & language selection, your customers can't understand at one glance if he is on the right shop. He won't loose time anymore during the checkout process, realizing that they are not on the correct shop. 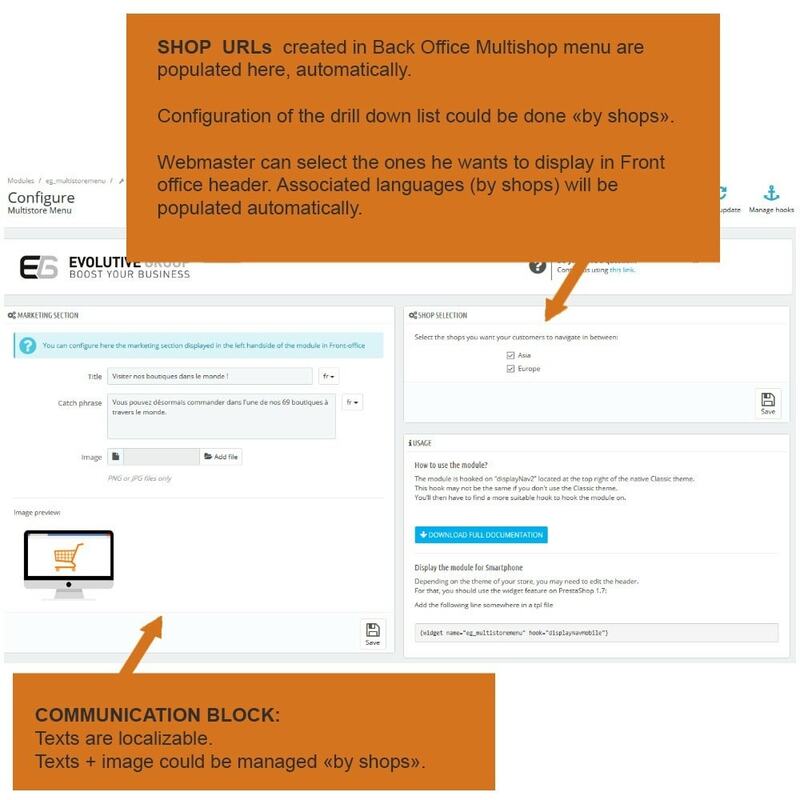 You must enable the multistore feature and create at least two shops to take full advantage of the module. 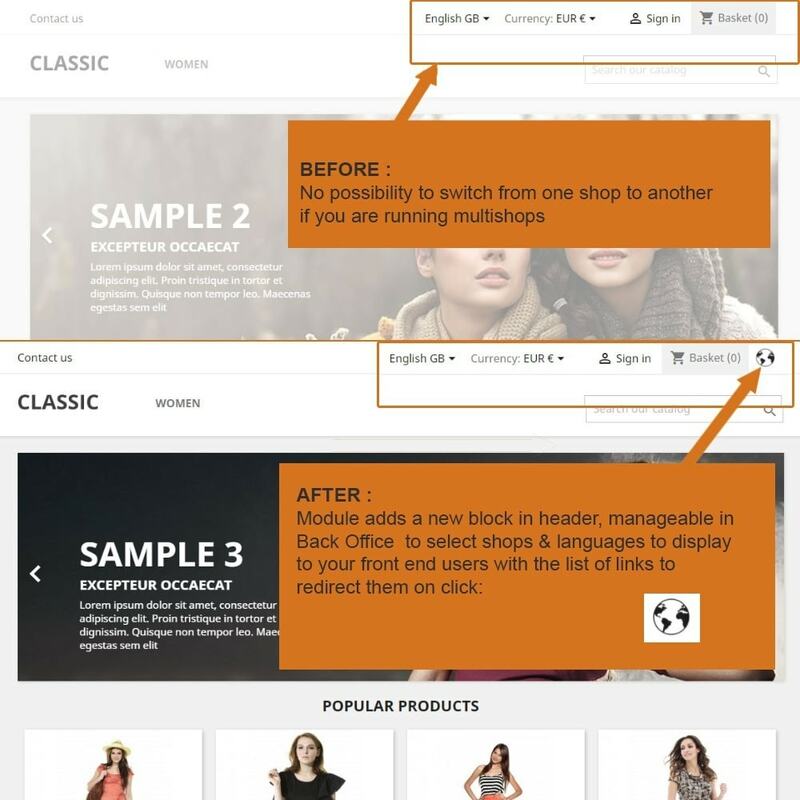 The module use the PrestaShop widget feature in order for you to place the shop selector wherever you want.